Please find below part 2 in the coaching series with Recovery Coach Catherine Liberty. Click Here For Part One. When I first made the decision to recover from bulimia, like most people, I was absolutely terrified of what would happen to me. Honestly I just had no idea what to expect and I couldn’t even begin to imagine how I would cope with life without my one ‘coping mechanism’ bulimia. I was so scared to change my ways that I spent the first couple of weeks convincing myself that everything in the Bulimia Help Method was a lie, or that it just wouldn’t work for me because I was different, sicker, more broken somehow. But you know what? It didn’t take me long to realize that pretty much every single person starting out in recovery feels this exact same way. So what’s the main thing you should expect when you’re first starting out in recovery? You should expect to feel afraid and to doubt yourself (or your chosen recovery method) A LOT. Let’s face it, when you’re about to change your entire life so it’s only natural to that you’re going to find yourself panicking in the beginning. A lot of people notice a temporary increase in anxious feelings and low mood at the start of recovery, and while that’s not a nice thing to experience, it’s also nothing to fear. It is not an indication that you’re failing or that you’re not cut out for recovery. I promise you that. 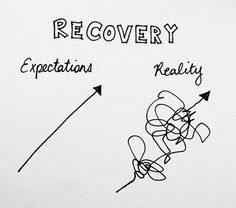 No recovery process comes without it’s ups and downs and there is no such thing as a perfect, relapse-free recovery. Yes it’s going to be hard at the start, you’re going to find yourself saying ”this is impossible” more times than you can count, but it’s so vital that you prepare yourself to persevere regardless of those feelings. I remember my emotions being all over the place at first. For the first couple of months I think I cried every single day because life felt so overwhelming without bulimia to numb my emotions, but I still recovered and no matter how awful you find yourself feeling at the start, you can recover too. So I haven’t painted a very bright and positive picture of recovery there, but now it’s time for the good news because with the gradual introduction of new healthier coping mechanisms and as you begin to nourish your body and mind through structured eating, you WILL begin to notice a natural increase in mood, emotional stability and general happiness – and this is when you can expect to actually start enjoying recovery (yes, that really happens). So if you’re struggling at the start of your recovery right now, please hang on in there. 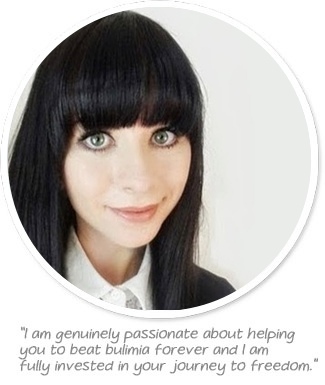 Creating a life where you are no longer burdened by bulimia and negative body-image is well worth the fight. 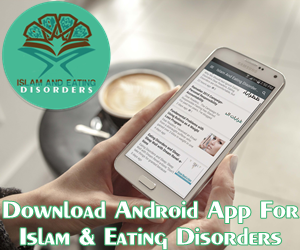 In Next Post Catherine is going to give you a unique powerful perspective on your eating disorder that can make a big impact on your recovery.